One of the most interesting stories from Press Camp this year, besides Ti bikes, was design in the industry. In the 1/2 decade I’ve blogged about the bike, design is more prevalent now and and a focus for companies and the products they make. You can see it across the industry with graphics, logos, brand, and quality of materials. The stuff we use now is better than decades ago and even better in the last few years. There was a time when shoes and saddles required weeks to break in. Not anymore. You can get a bike from a shop and have a far more pleasurable ride. 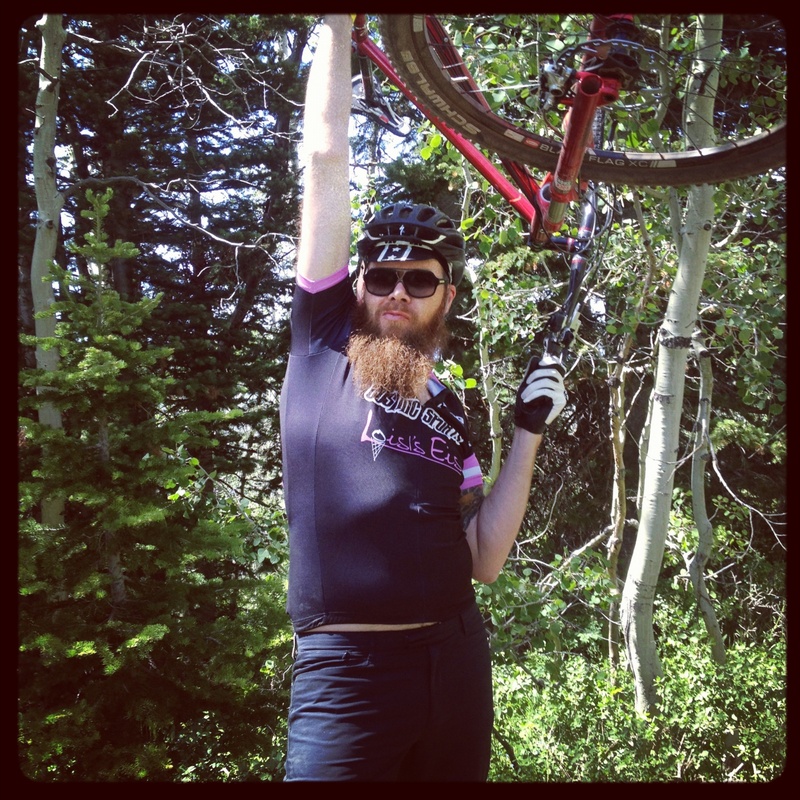 Yes, by posting this observation, I’ll alert the retrogrouch network that locked in at Nuevo Record years ago, but I’m talking about cycling as a mainstream consumer product and less of a niche. From my tech perspective, I’ll cite Apple as a reason why and also a more demanding consumer that expects good products that are well designed. To the point of focus on design, I met with Knog. They created a market for silicon LED lights, have been relentlessly knocked off, and have just released a line of improved products. These new Blinder lights set a benchmark for them and other light manufactures. There’s as much thought in the form and function of the lights and locks as the packaging, including the words that describe it. and Micheal Lelliott designed them. 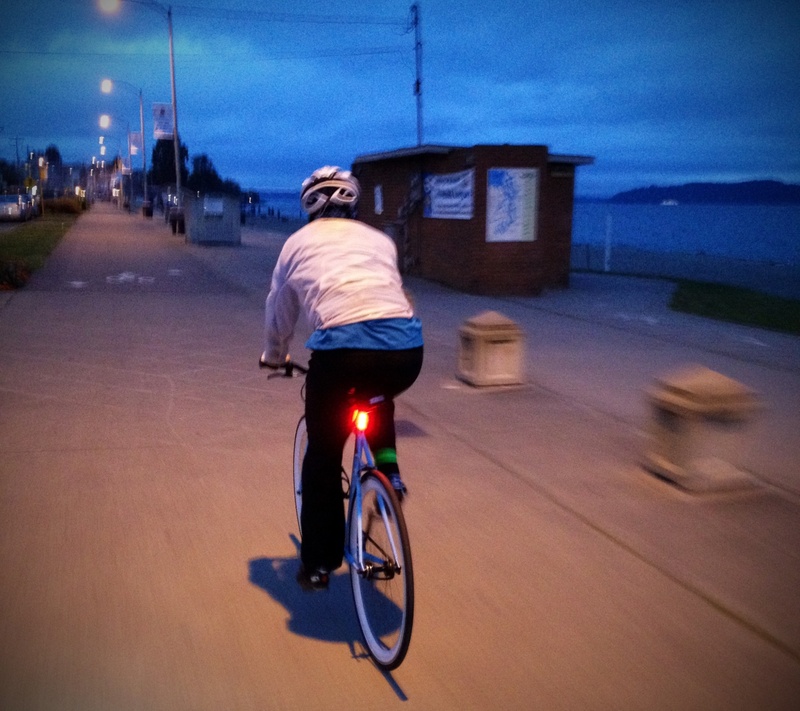 Knog Blinders are waterproof, rechargeable, very bright, simple, and solid. Lit up the bike path with the Blinder 4V Pulse last night. The LEDs pulse 80 Lumens in the front and 44-Lumens rear in 4 different modes. 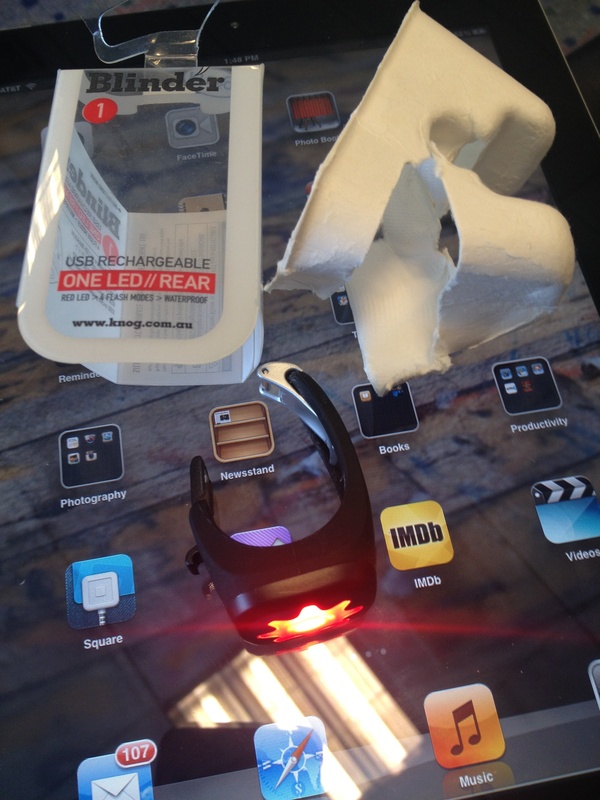 They attach like a watch does to your wrist, on a tube of your bike, with a stainless steel latch and silicone strap. They sell for about $45 USD and will ship in July. Micheal tells us more about the lights and locks in this video. 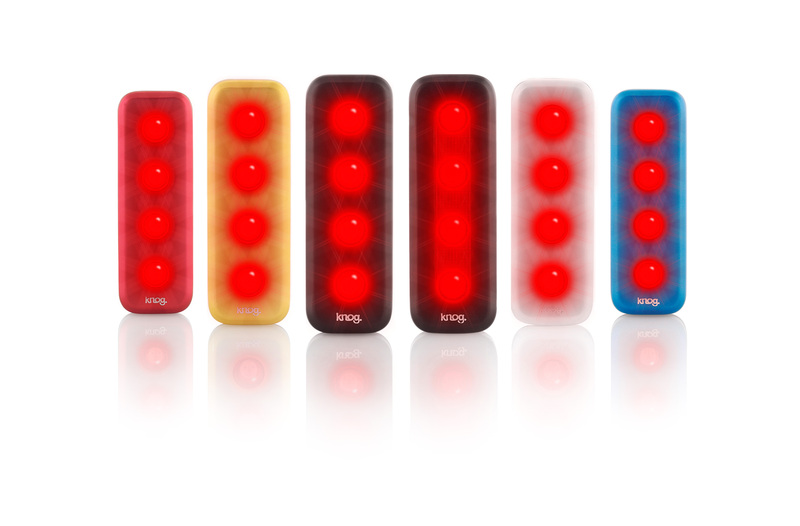 See more photos of what’s new from Knog on G+ and our Gear set on Flickr. These lights are so bright, compared to the original Vista light blinky, I’m using them as daytime running lights when riding in the City. 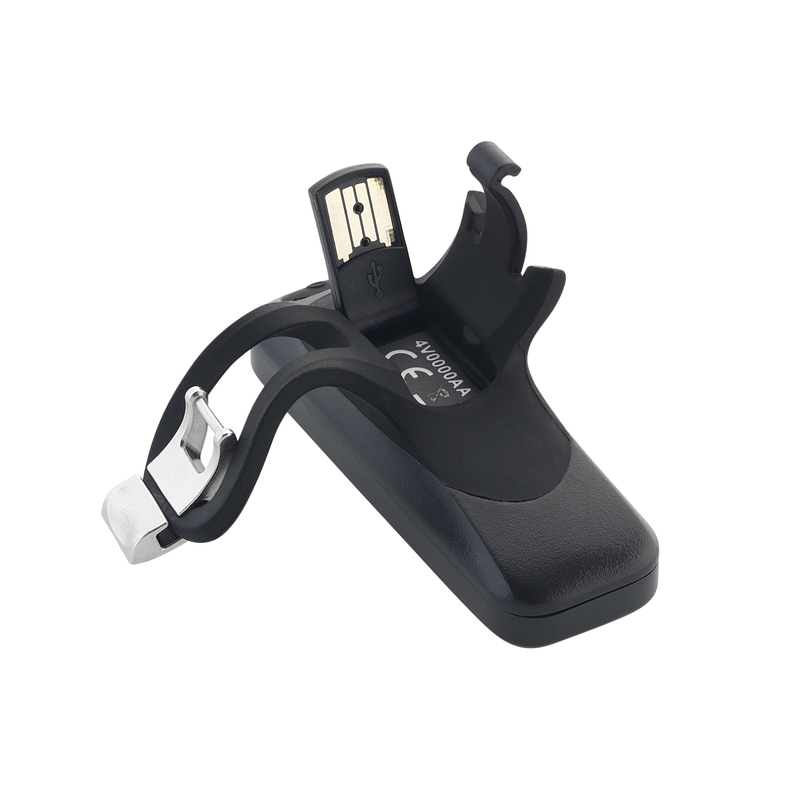 Front and rear, just like a car, for the extra attention to a distracted driver.